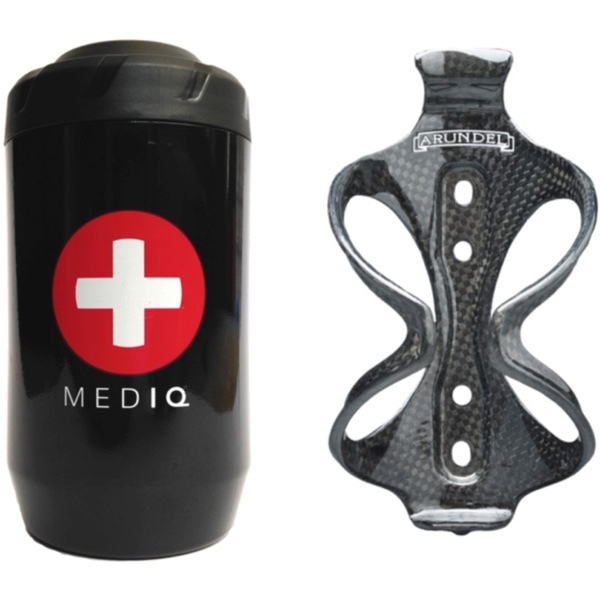 Premium first aid kit and bottle cage bundle. 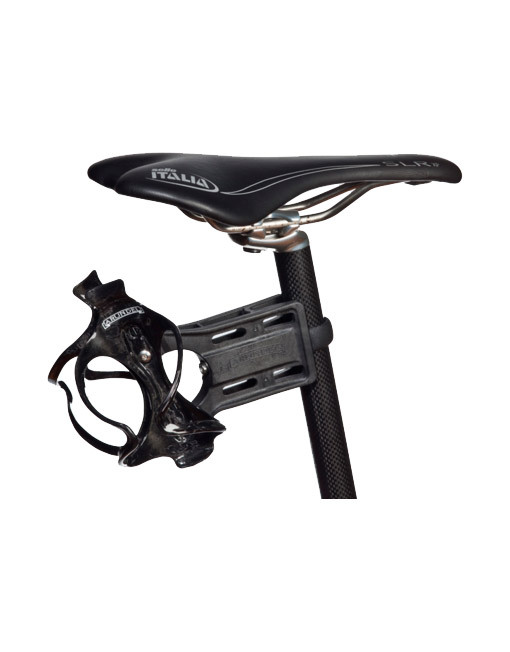 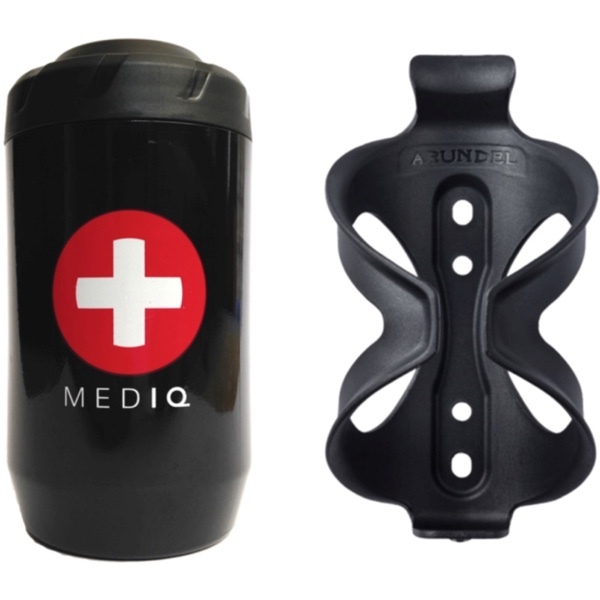 The MED IQ Carbon Cage Bundle features the strongest carbon fiber water bottle cage from Arundel, the Mandible, and MED IQ, the only first aid kit made for cyclists that’s designed to fit on a bike. 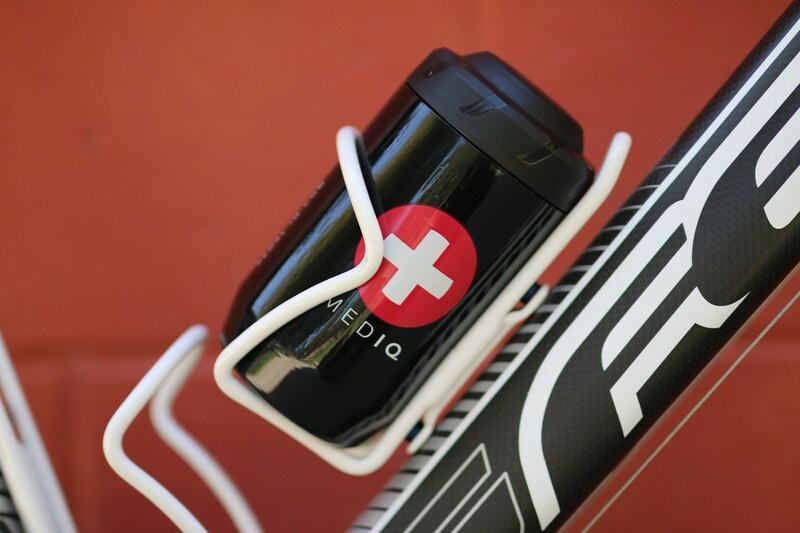 Why pair our first aid kit with a bottle cage used by professional cycling teams? 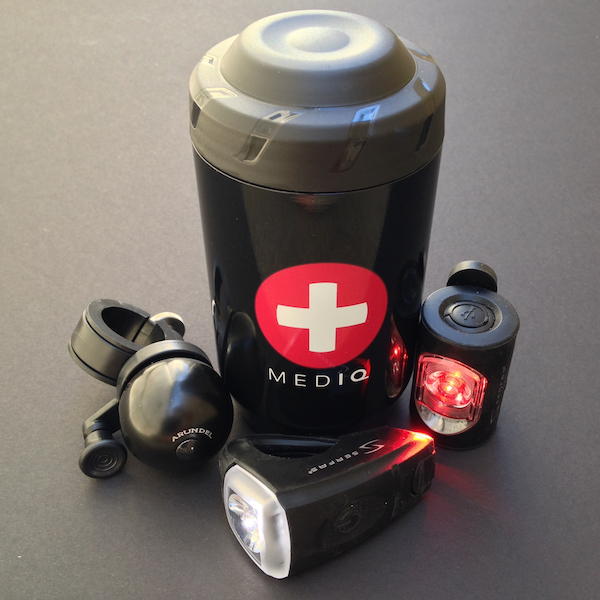 Because we believe that having first aid is better than waiting for first aid and with a cage like the Mandible, you’re less likely to lose your MED IQ bouncing over potholes and stumps.